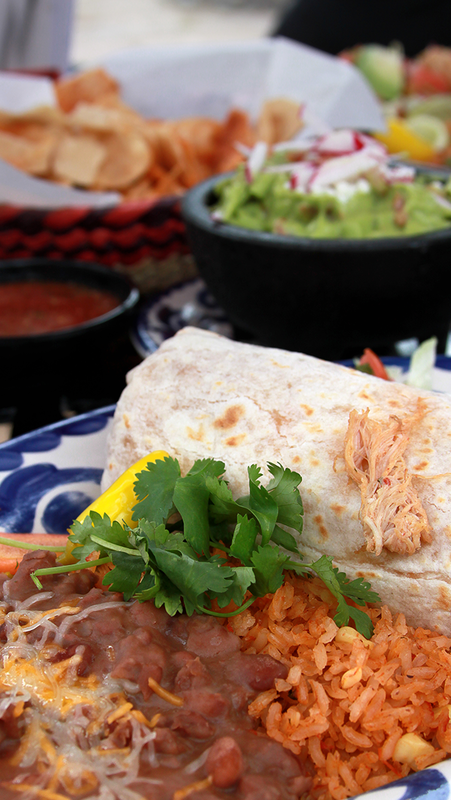 Los Toltecos is Alexandria’s premier destination for authentic, home-style Mexican dining and catering. With an extensive menu of fresh, healthy, regional specialties, we offer a wide variety of Mexican cuisine to suit all tastes. Los Toltecos also features a bar that serves our legendary margaritas, Mexican beers, and an extensive list of some of the best tequilas you can find. If you’re looking for a caterer, our exotic flavors and exemplary service will ensure your event is a memorable one. At Los Toltecos, we’re serious about our food and drink; but our real goal is to bring people and families together. Come by and enjoy an experience that you will not soon forget. Mexican food is best when shared with friends and family. Mexican Food at its Best! At Los Toltecos, we prepare all of our dishes with the freshest ingredients and utmost care. Stop by for lunch and enjoy one of our hand-filled Special Toltecos Burritos or Taco Salads. Visit us for happy hour and unwind with a margarita shaken with fresh lime juice and one of our 25+ tequilas. Stay for dinner to experience our Steak Veracruz, traditional Fajitas or decadent Tres Leches. Our friendly staff is always on-hand and looks forward to making you feel right at home in our cozy hacienda. Click on the button below to view our extensive menu! Pick up your favorite house specials, combos, appetizers, desserts and beverages and enjoy them wherever you want.